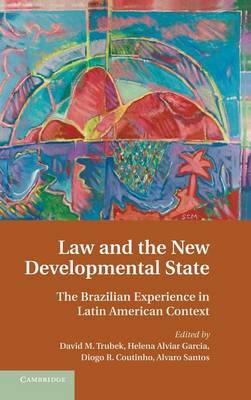 This book explores the emergence of a new developmental state in Latin America and its significance for law and development theory. In Brazil since 2000, emerging forms of state activism, including a new industrial policy and a robust social policy, differ from both classic developmental state and neoliberal approaches. They favor a strong state and a strong market, employ public-private partnerships, seek to reduce inequality, and embrace the global economy. Case studies of state activism and law in Brazil show new roles emerging for legal institutions. They describe how the national development bank uses law in innovation promotion, trade law strengthens new developmental policies in export promotion and public health, and social law frames innovative poverty-relief programs that reduce inequality and stimulate demand. Contrasting Brazilian experience with Colombia and Mexico, the book underscores the unique features of Brazil's trajectory and the importance of this experience for understanding the role of law in development today.